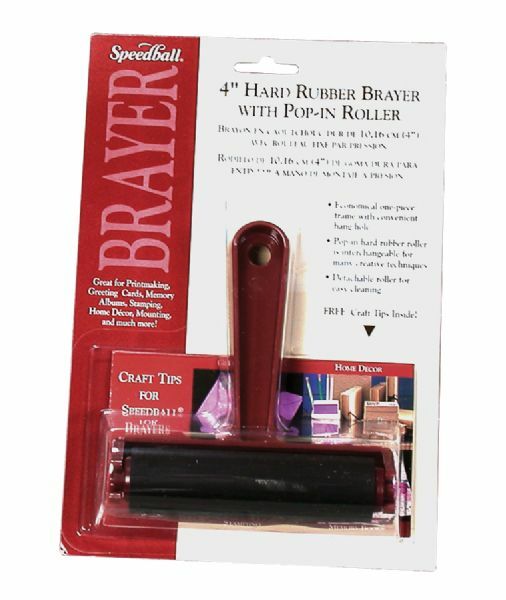 4" economy brayer features hard roller made from synthetic rubber. * Economical one piece plastic frame has convenient hanging hole in handle. * Interchangeable with other pop-in rollers great for many creative techniques. 7.5" x 4.25" x 0.25"